Overwhelmed and frazzled mamas, what you wouldn’t give for some me-time, right? You’re probably wondering how to be a better mom. 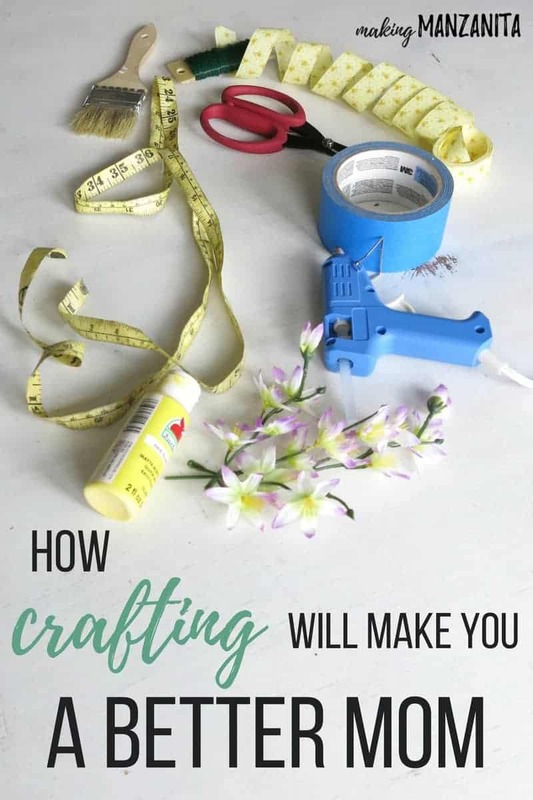 Here’s a food for thought….crafting will make you a better mom. Crafts? I ain’t got time for that. I get it. Your days start with morning routines. They are full of what seems like endless amounts of work and complete with bedtime stories. 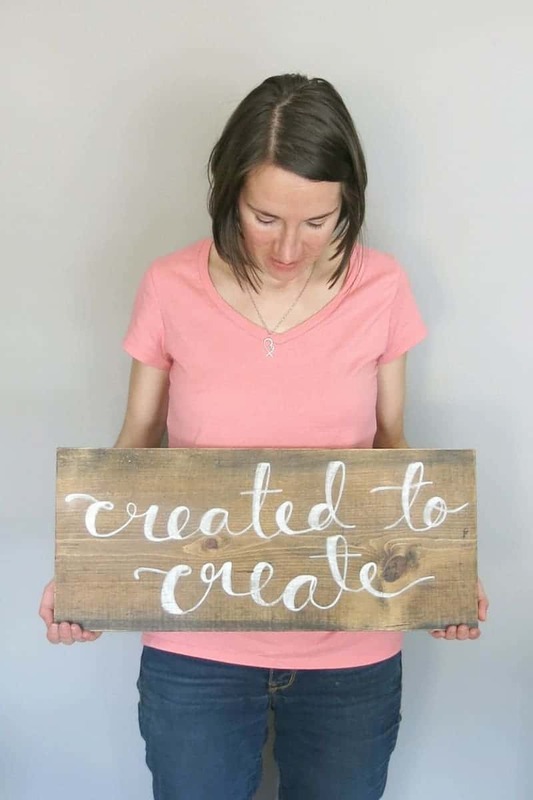 What if I was to tell you that crafting will make you a better mom? It’s true. I’m not referring to that “mom of the year award”. You know the one I’m talking about. This is what comes to your mind when you’re thinking about how to be a better mom. This mom of the year award doesn’t actually exist. But you can picture “that” mom in your head. She hand makes every teacher gift, bake sale goodies and healthy sack lunches and still manages to get her kids to school on time. I’ve got a secret for you: that Pinterest perfect Mom of the Year who seems like she has it all together, she feels just like you too… frazzled and barely hanging on… but that’s a story for another day. This is not a tutorial on how to become that crafty mom of the year. This is about how and why to create the space in your life to craft. 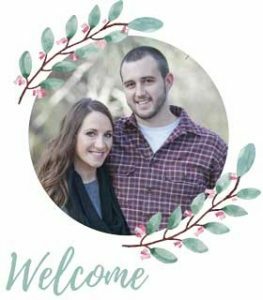 This post on how crafting will make you a better mom contains affiliate links, but nothing that I wouldn’t wholeheartedly recommend anyway! Read my full disclosure here. Somewhere in the midst of those busy days, you have to make the time. I promise you that if you are able to carve out some time for you…just you… you will be a better mom and wife. It’s the key to how to be a better mom. Mamas, you must learn to love yourself above all else. There is a reason why the airplane stewardess says “in case of an emergency, put on your own oxygen mask before assisting children or others around you”. The selflessness of motherhood is a myth. I’m telling you straight up…. the only way you are bound to fail in this whole parenting thing is if you don’t love yourself first. You will become drained. You will become empty. And when you are empty, you have nothing left to give to your children. For me, crafting is that time that I set aside just for me. Working with my hands is like therapy, it lets my mind settle and gets my creative energy out. After I finish a craft and I step back and look at the DIY project, I am reminded that I am confident and capable of creating. I am reminded that I was created to create. Nothing in my life has fulfilled me more than creating. Creating a home that we love. 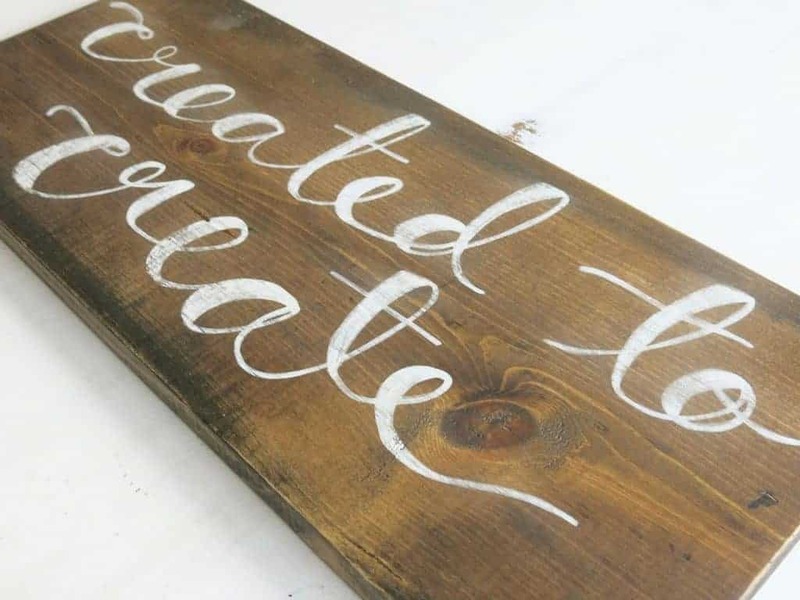 Creating home decor crafts to fill our home and sell to others. Creating a blog where I can inspire others to create. Creating a little human that smiles back at me (ok to be honest, God did most of that miracle making). In fact, most my dreams… you know the big, scary dreams… revolve around creating. 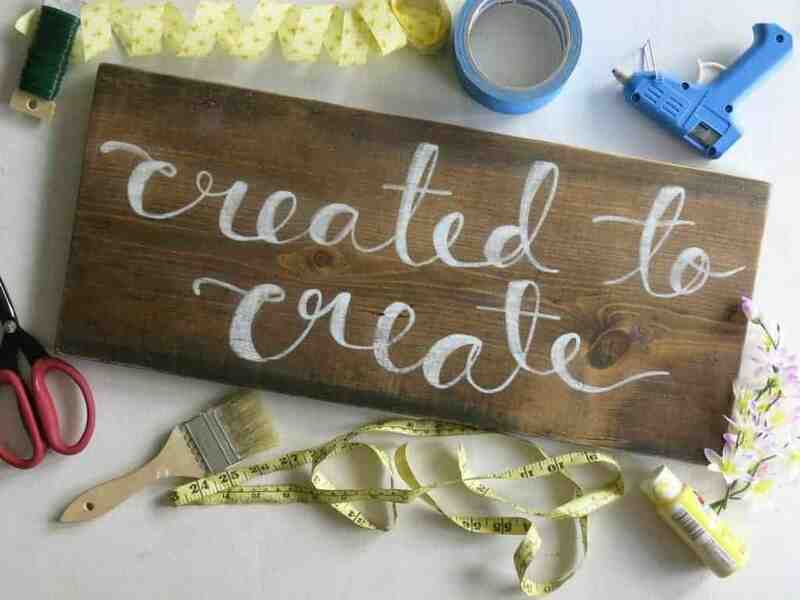 The time you spend crafting and doing something for yourself will bring you confidence and this will transcend into your family. 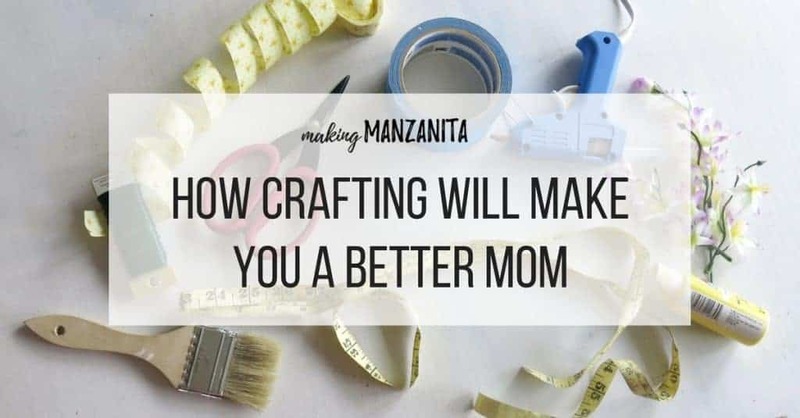 Crafting will make you a better mom. You are able to be more patient, humble in the face of failure, less anxious, happier, and graceful with yourself and others. Our ultimate goal as crafting mamas is to be role models for our children. I hope that my kiddo has wonderful memories of watching his mama craft and make cool things (just like I have those memories of my mom). And I hope he looks up at me and sees a mom pushing forward confidently in the direction of her dreams. I pray that he will look at his world and feel that same feeling, that he was created to create. I am committed to teaching him how to DIY. And from that, I hope he will gain confidence to know that he is capable of creating. Capable of making the world a better place. Capable of following his dreams, those big, scary ones. Wondering how to be a better mom? For the sake of your motherhood, it is time to take back your crafting. Don’t think you have the time to craft? Make the time. 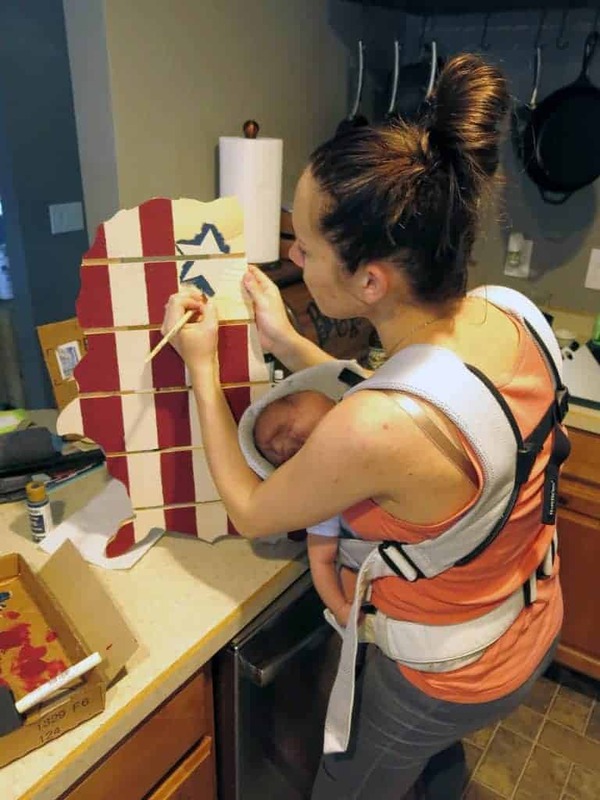 If your baby is tiny and won’t nap, put that baby carrier on and wear him while you craft. Grab your toddler and have them color a pretty drawing for you while you make that wreath you’ve been dying to try. Give your little one a paint brush and let them go to town on the wall before you paint. Ask your hubby to watch the kiddos so you can have a crafternoon. Grab a glass of wine after the littles are in bed and DIY! Make a real effort into putting yourself first and making your crafting a priority. Give up that picture of perfect when you think of how to be a better mom. Let your children see you doing something for yourself. Teach your littles how to DIY instead of buy. Show them why you were created to create. I promise you that you will turn away a happier and healthier mom. 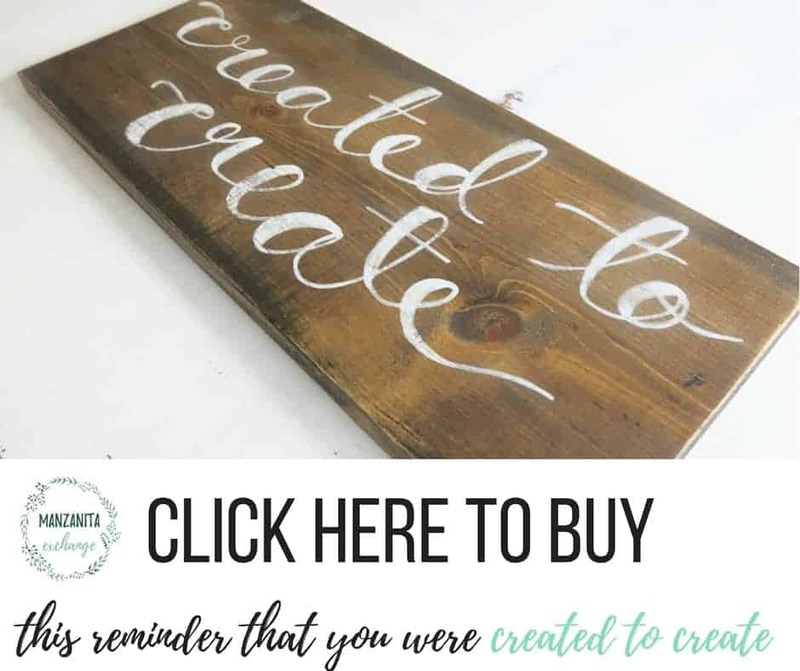 This “created to create” wood sign is available for sale in my Etsy Shop, Manzanita Exchange. I can not express how much this spoke to me! I don’t craft much but I am an artist and since my first was born, I never take the time to do any artwork! No more! I will take the time for myself, so I can be a better, not so stressed momma!! Jessica! I am so glad you liked this post. You’re right – this can totally be related to any type of creating, not just crafting! I hope that you find some time to start making art again. Put it in your calendar if you have to. It is so important to take that time, girl!